The things currently rocking my world. First, the nail polishes. Essie’s after school boy blazer is everything it’s cracked up to be. Not only is the color a gorgeous navy/black, the application was the easiest I’ve had in awhile. The color was so intense that I was almost good to go after one coat. 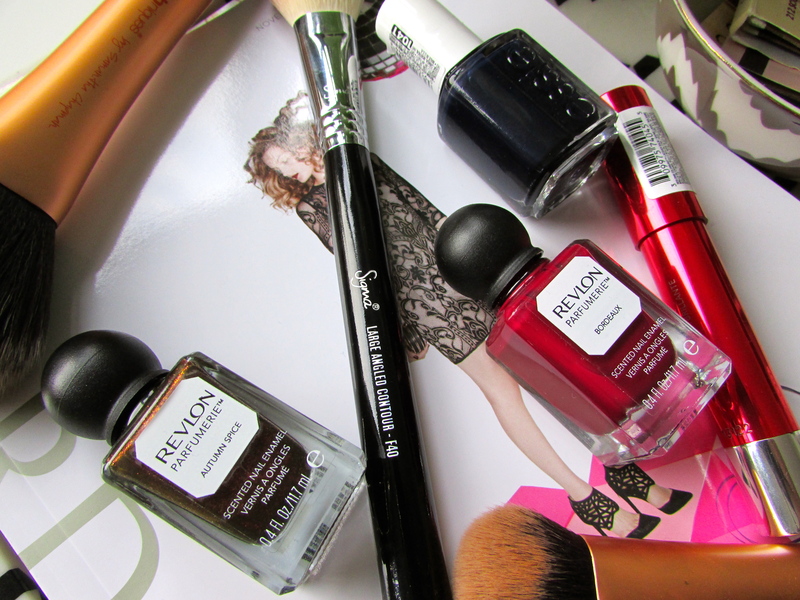 The other two bottles added to the stash are from Revlon’s new Parfumerie line of perfumed nail polish. At first, I was a skeptic. Their last scented varnish line was a whole lot of misses for me, but I gave these a shot because I loved these two colors: autumn spice, a copper brown with shimmer, and bordeaux, a spot-on red plum that looks like the wine it’s named after. 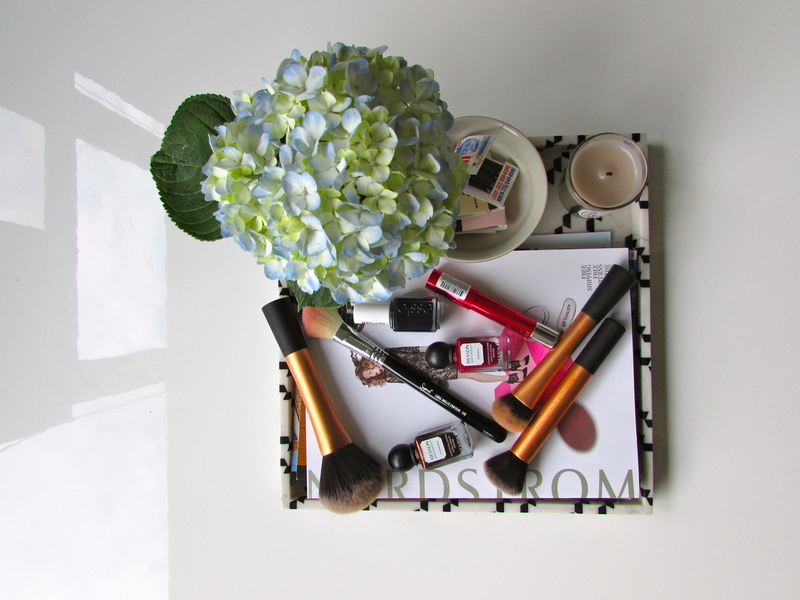 Bonus: the scents are actually spot on and long-lasting. Although application might look tricky because of the ball cap handle, it was actually fine, with the polish applying on the thick side but with no major problems. While I was perusing these bottles in Boston, there was also a new display for these Revlon Colorbust Lacquer Balms. There were some great colors to choose from and more colors in the new Matte Balms, but I chose two lacquer ones: flirtatious and provocateur, with the latter being my favorite. It’s a shiny, pigmented red that makes a statement without the high maintenance of traditional red lipstick because of the balm formulation. Now on to the brushes. I’ve heard so many good things about Real Techniques brushes but was skeptical nonetheless because of the fairly low price point for the positive reviews they were getting. Well, I’m now a convert. 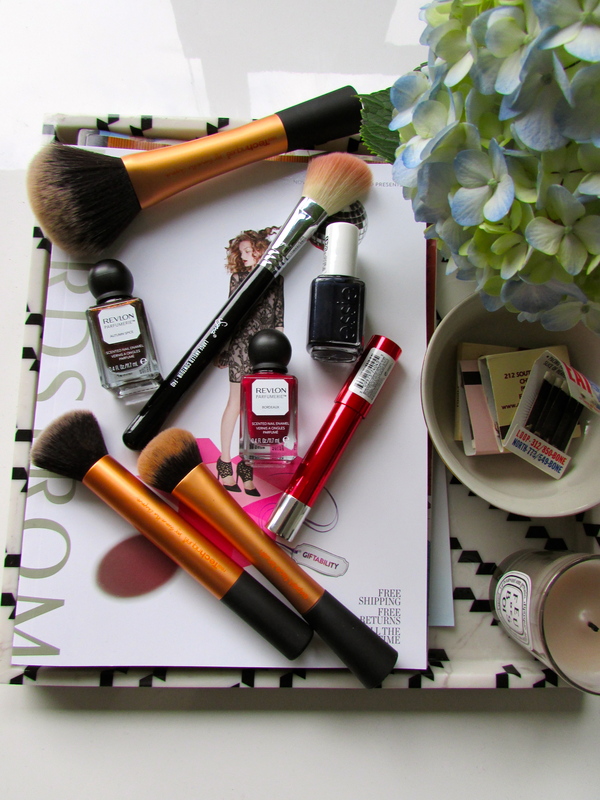 Aside from super soft bristles, they apply my makeup like a dream. I’ve only tried the face brushes, but the expert face brush, the buffing brush (part of a set), and the powder brush now see daily use, as evidenced by the dirty bristles (sorry!). 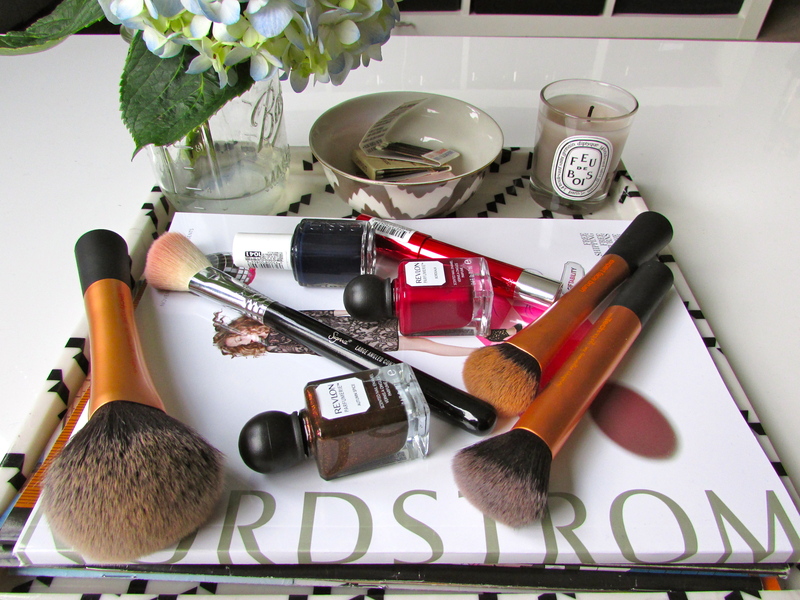 The other new brush to my arsenal is the large angled contour brush from Sigma, which was an instant favorite. I’ve only had it for about 3 weeks, but it’s become my go-to blush brush. Something about the angled head allows for perfect placement of pigment. 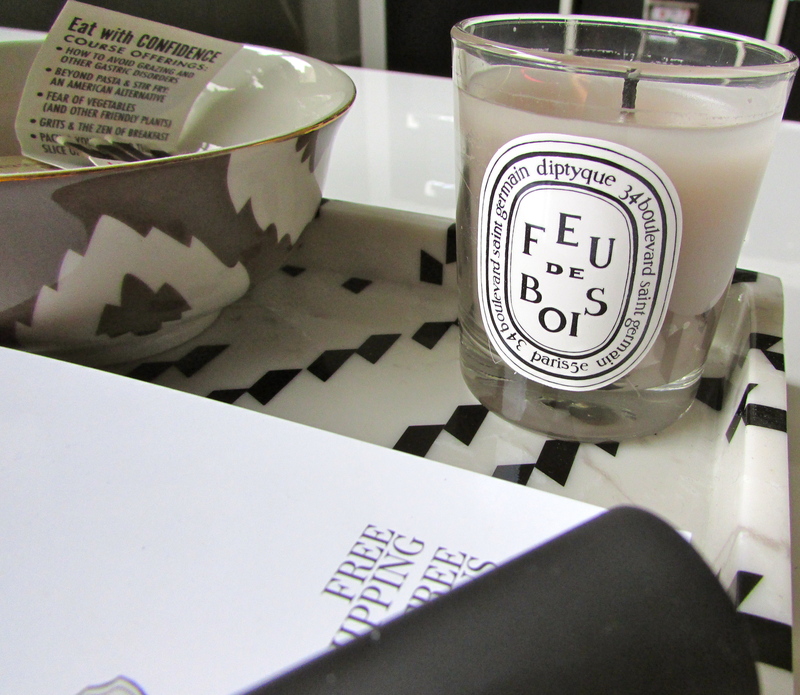 Lastly, I’m loving the feu de bois candle from diptyque. It smells like a smoky campfire. I was a little scared of the scent in its unburned state – a little too smoky – but when lit, it mellows out to the smell of a fireplace in midwinter. Love.